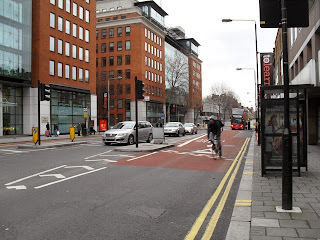 Yesterday I stumbled upon an article titled What’s the Worst Thing About Road Cyclists?. It's an old article but it has a poll on what annoys people in road cyclists, with some very ridiculous options. Sadly, a lot of those options were chosen by people answering the poll. I think it's good to discuss their issues from a cyclist point of view, and to answer a poll on what annoys cyclists. Let's start with discussing the arguments of what is worst thing about road cyclists (as stated by that article). I have aggregated most of them into groups for brevity. Please also give your opinion in the poll on the right side of this page. Arrogance and Elitism - Why, because cyclists are arrogant while using the street? Any person who has achieved a higher level of knowledge, proficiency and/or stamina to do any activity at an advanced level has worked for and earned bragging rights. It goes for athletes, scientists, musicians, anything really. The only reason that cyclists seem to bother people more is because they see them on the street. And the annoyed ones are the drivers who think that the streets were given only to them by their respective gods! Now who's the arrogant one? Terrorize others on multi-use paths - Goes either way. Every user of a multi-use path seems to think the path is made just for them. A roller skater thinks that a recreation track is actually a 'rollerblading' track, joggers think that it's a jogging track, cyclists think that it's a cycling track... It's a multi-use track, and nobody is there to terrorize anyone. It's not the track for your private enjoyment, live with it! Equipment and attire - Really? If someone gets annoyed by other people for what they are wearing, whether their bikes have cyclo-computers than he/she has a lot of pressing issues to address with their therapist. Think we have missed some? Have a different opinion? Please add it in the comments! I am REALLY annoyed by car drivers turning right and ignoring me, but even worse are those car drivers turning right without using the blinker. At least with the others I already expect they won't see me and can adjust my speed. The Reddit community has joined in. I am adding a link to the list of issues added in the Reddit comments. Your list should have "Flaunting traffic laws", "Arrogance and elitism" at least. Drivers are no less prone to that than cyclists IMO. What annoys me most is bike riders going the wrong way in the bike lane on the road. From the early years of my life I loved bicycles. After our family moved to the bigger city, I can only have a roller-skates. Now, I am grown-up and have job that are not so far away from my home, but further than I can walk on everyday basis. I’m thinking about buying a bicycle, can you give me some advices about that? I read a lot before about what model I should by I even read review of DissertationCapital.com for some reason. But I need some kind of more practical advices from fellow cyclist!